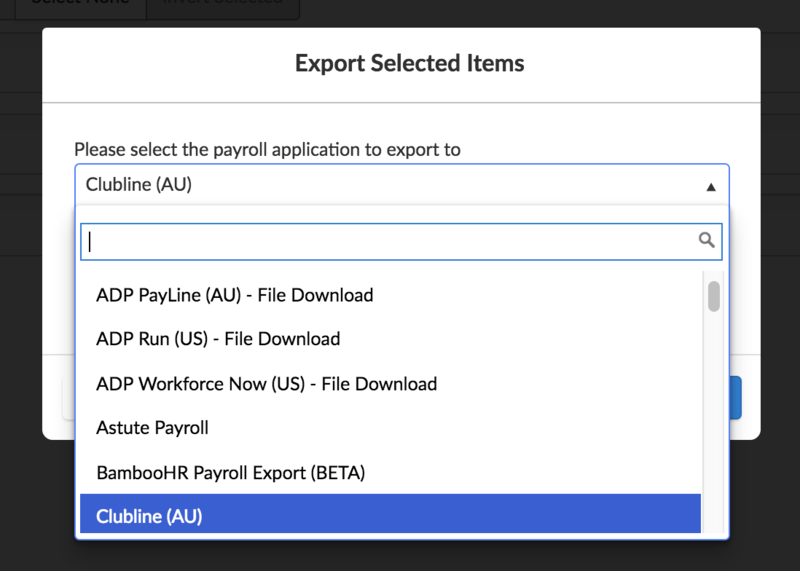 This guide walks you through the timesheet export into Clubline (AU). Deputy's Clubline (AU) export uses a file download action, which allows you to upload the export file into Clubline. This guide walks you through the export process. Please ensure that you have approved timesheets in your Deputy account, and that your employee names in Deputy match the employee names in Clubline. Also make sure that your employees have export codes assigned to them. First, navigate to the Timesheets Export tab in Deputy. 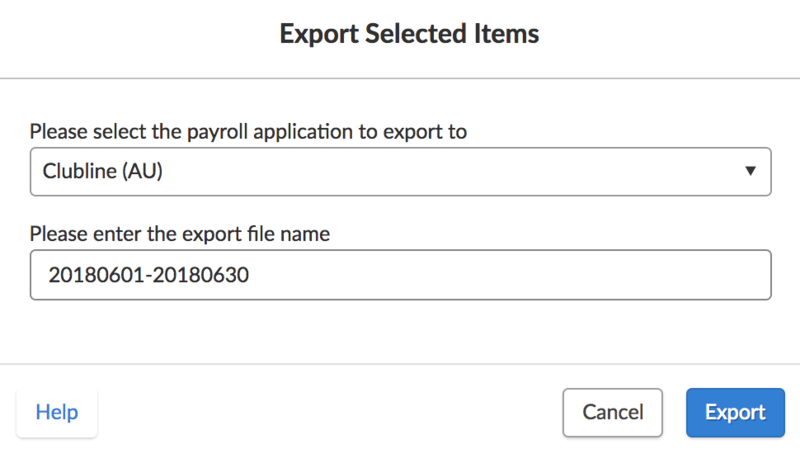 Select the employees you would like to export, then click 'Export Selected Items'. 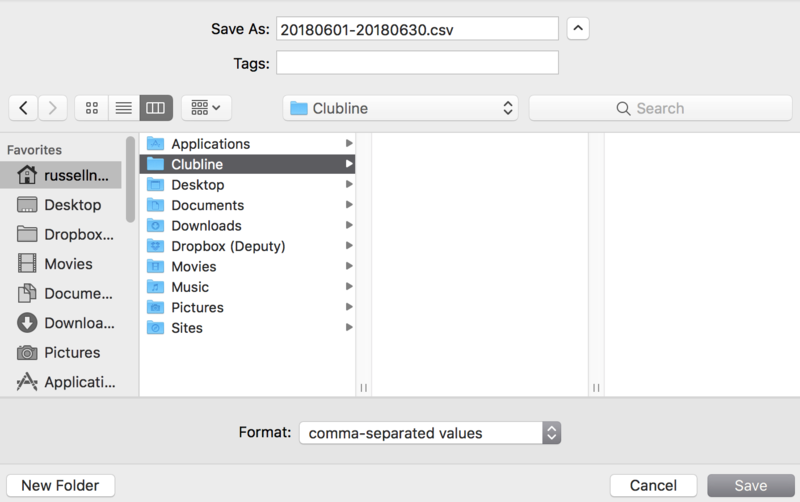 In the pop-up box that appears, select 'Clubline (AU)' in the drop-down menu. Here, you're able to change the export file name, however, we do not suggest changing the name of this file. When you are done, click Export. You will be then prompted when the export is complete. Select 'Download File'. You will now be asked to save the export file (CSV) to your computer. Please ensure that it is in a location that you can easily find. The below is an example of the save prompt on a Mac (MacOS/OSX). You can now upload this file into Clubline (AU).